Charo Santos-Concio has been named the new president of ABS-CBN Broadcasting Network. The announcement was made by ABS-CBN chairman and COO Gabby Lopez. ABS-CBN chairman and Chief Operations Officer (COO) Gabby Lopez announced earlier today, February 29, the appointment of Charo Santos-Concio as the new president of ABS-CBN Broadcasting Network, effective March 1, 2008. Charo, whose real name is Maria Rosario Santos-Concio, is the fifth president of ABS-CBN. Charo has been with the Kapamilya network for 20 years. Charo, who became famous for her award-winning role in Mike de Leon's Itim, started her career at ABS-CBN on June 24, 1987 as consultant. She then worked as production director, and slowly rose through the ranks, becoming vice president, senior vice president, and executive vice president, which was her last post before her promotion. The announcement was made by Gabby himself at the closing of ABS-CBN's management conference at the Camp John Hay in Baguio City this afternoon, February 29. The conference began last Sunday, February 24. There will be a party tonight to celebrate Charo's promotion. ABS-CBN's Head for Corporate Communication Bong Osorio said that Charo thanked Gabby for the "trust and confidence." Charo also promised to try her best to be the leader of a great network. Charo just came from a three-month stint, from August to November 2007, at Harvard Business School, where she attended an advanced management program. CHARO'S CAREER. 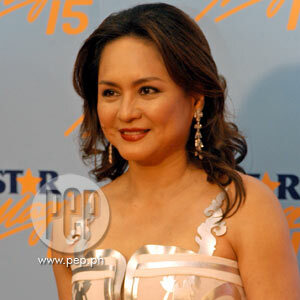 Charo Santos-Concio started in the show-business industry as an actress. Some of her most memorable films are Itim, Kakabakaba Ka Ba?, Durugin Si Tototy Bato, Ang Alamat Ni Julian Makabayan, Brutal, Aguila, Kisapmata, Hindi Mo Ako Kayang Tapakan, Gumapang Ka sa Lusak, to name a few. Charo won Best Actress in the 1976 Asian Film Festival for her performance in Itim. While she was still active in the acting profession, she also worked in Bancom Films, Experimental Cinema of the Philippines, AudioVision, Vision Exponents, and Regal Films, before becoming an executive producer for Vanguard Films. It was during her stint at Vanguard that ABS-CBN invited her as a consultant.